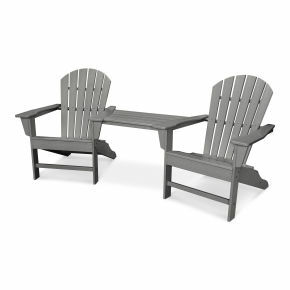 If you have a space in your outdoor living area that's in need of a truly unique place to sit and relax, then fill it with the charming POLYWOOD® South Beach Adirondack 2-Piece Set. 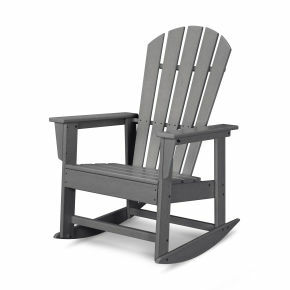 You'll get an equal mix of style and comfort with the South Beach Adirondack and the matching South Beach Adirondack Ottoman. 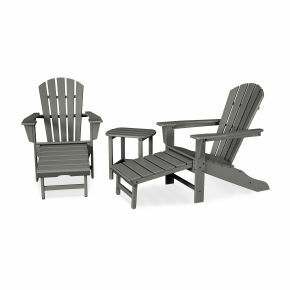 If you have a space in your outdoor living area that's in need of a truly unique place to sit and relax, then fill it with the charming POLYWOOD® South Beach Adirondack 2-Piece Set. 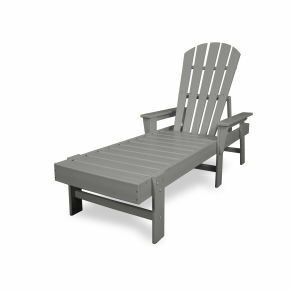 You'll get an equal mix of style and comfort with the South Beach Adirondack and the matching South Beach Adirondack Ottoman. 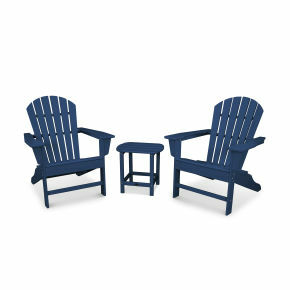 This set is sturdy enough to withstand nature's elements since it's constructed of POLYWOOD all weather recycled lumber. 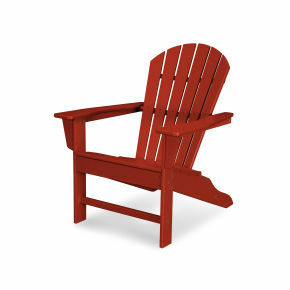 It never requires painting, staining or waterproofing; nor will it splinter, crack, chip, peel or rot, so you can bet it will last and look good for many years to come. 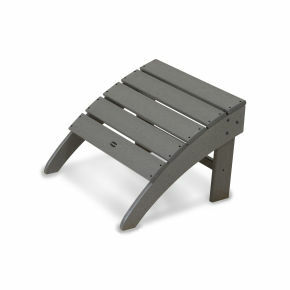 This set is extremely low-maintenance, too. A little soap and water will keep it clean as it is resistant to wine and condiment stains as well as corrosive substances, salt spray and other environmental stresses.